It’s time to write the novel you’ve always wanted to write. Don’t fear the blank page! Sign up at NaNoWriMo.org today, then follow along here for tips to get you ready. And when your masterpiece is complete on November 30, come back and get it polished up by The Refined Word. 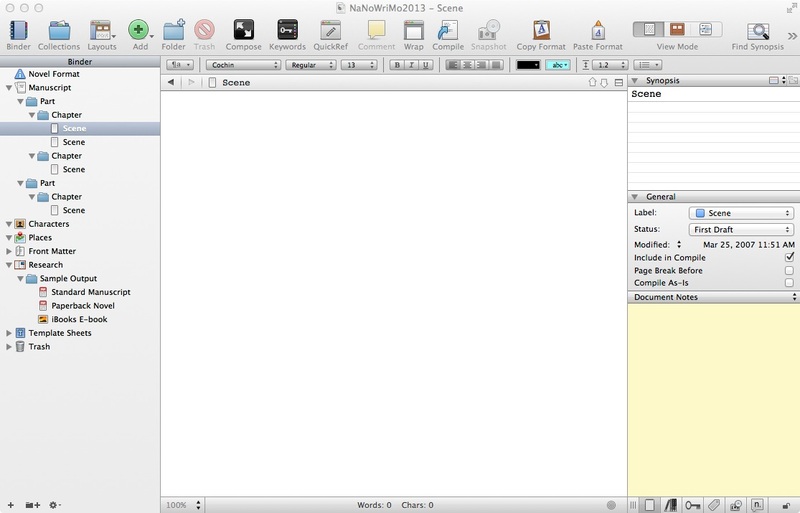 And get Scrivener, a great tool for novel-ing at the speed of NaNo. This entry was posted in NaNoWriMo, Writing Tips, Writing Tools and tagged copyediting, Editing, editor, NaNoWriMo, novel, Scrivener, self-publishing, Writing by iggy2112. Bookmark the permalink. This is my first year doing NaNoWriMo and I am so looking forward to it. I will be checking here for all the help i can get while I climb this mountain. Good for you! It’s a fantastic experience. Glad you’ll be back by the blog. I’ve got some good stuff coming.